Unite to End Violence against Women. Nicole Kidman is campaigning to raise awareness of the plight of millions of women around the world, highlighting the infringement of women’s rights amid shocking statistics: 70 per cent of women suffer some form of violence from men. A joint citizen of the United States of America and Australia, Nicole Kidman has campaigned for years in favour of humanitarian causes (Ambassador of Sydney Children’s Hospital, Patron of the Australian Theatre for Young People, UNICEF Ambassador for Australia, Honorary Patron of FARA – a charity which helps orphans – an advocate for cancer research for women in the USA, Chair of the UCLA Women’s Health Fund) and now lends her voice to UNIFEM’s campaign to bring public awareness to the shocking statistics which reveal the true scope of violence against women: more deaths and disabilities than cancer, malaria, traffic accidents and acts of war combined. 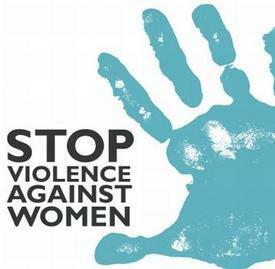 UNIFEM reveals that around 70 per cent of women suffer violence from men in their lifetime. It starts early on and it is not confined to developing countries: In the USA, 83 per cent of girls from 12 to 16 suffer some form of sexual harassment at school. It continues into professional life: up to 50 per cent of women in the EU suffer sexual harassment of some form at the workplace. Violence affects hundreds of millions of women around the world, every single day. In India, 22 women are murdered every day in dowry-related killings. Daily, in Guatemala, 2 women die. In South Africa, a woman is murdered every 6 hours. In Sa~o Paulo, Brazil, a woman is assaulted every 15 seconds. 800.000 women and girls are trafficked annually, 79 per cent of these for sexual exploitation. 3 million girls a year suffer female genital mutilation in Africa, a scourge which has been visited upon up to 140 million women worldwide. More than 60 million girls are forced to be child-brides every year. The UNIFEM campaign of which Nicole Kidman is Ambassador: Say No! – Unite to End Violence against Women, was launched last November in Kenya. The aim is to bring public awareness to the seriousness and depth of this unacceptable continued barbarity and to reach 100.000 actions by March 2010, one million by November. You can add your voice to the protest against gender violence and aid Nicole Kidman’s campaign by visiting the UNIFEM-sponsored site http://www.saynotoviolence.org/about-say-no . Previous Previous post: A H1N1 scare was a campaign of panic.